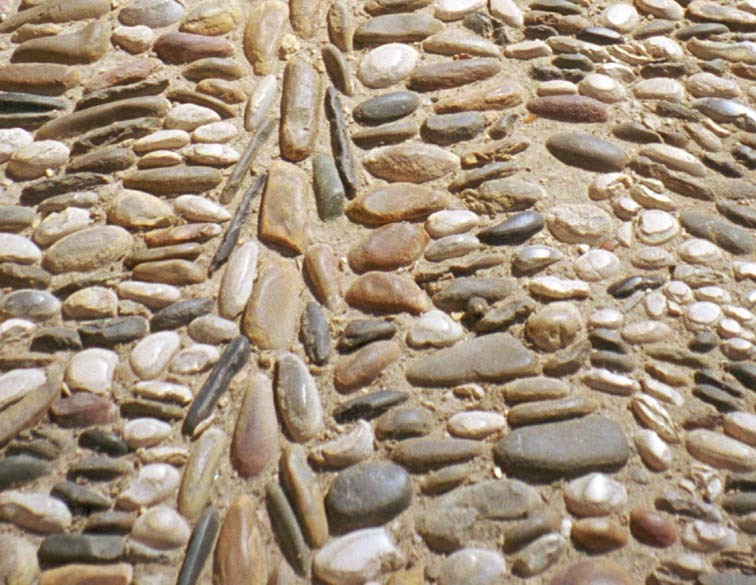 Some of the stone walkway paving in old Cordoba is highlighted with flat, oval rocks about 1.5 in. (4 cm). 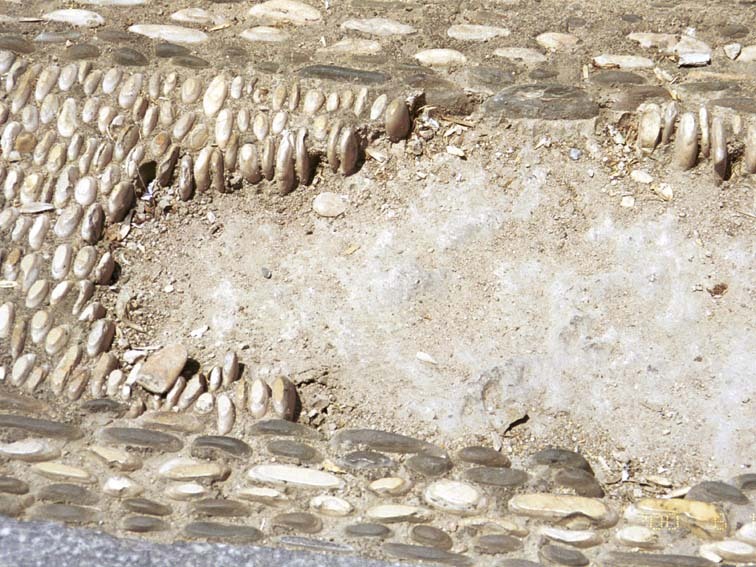 The flat rocks are placed on edge and arranged in patterns. Over the years, maybe even decades, these rocks wear down from constant use. The flat, oval paving stones are arranged in panels and borders in the courtyard outside La Mezquita. 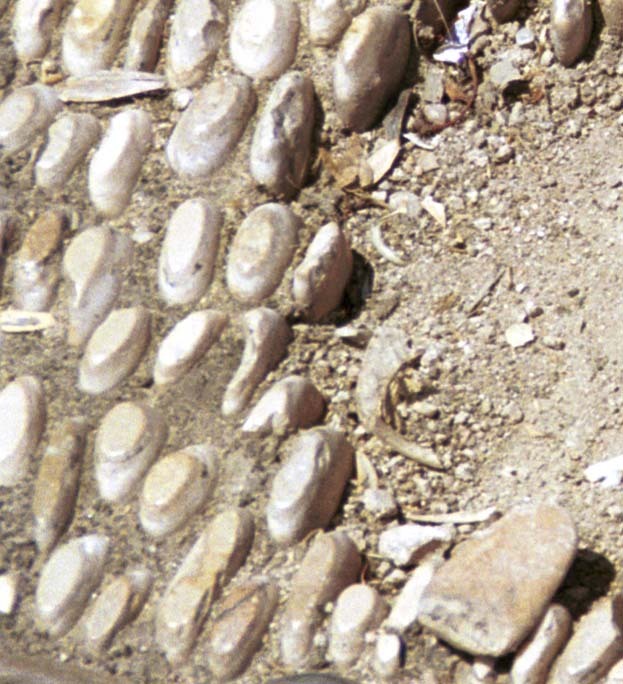 Here, the edge-placed stones are in a herringbone pattern along the borders of wider sections of this walk. 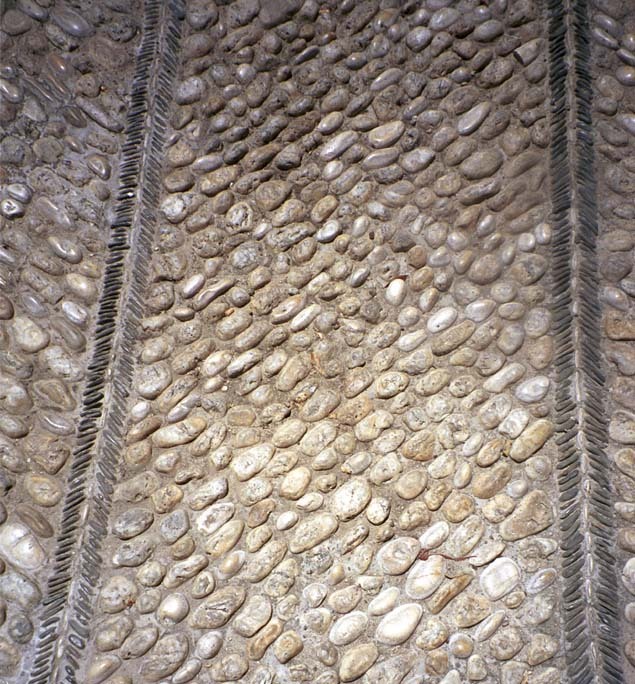 This is a detail of the herringbone pattern shown above. 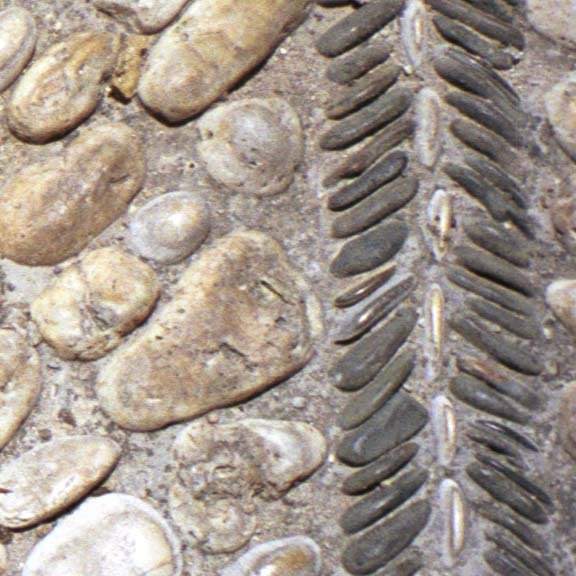 The light-colored rocks clearly show wear. This walk is crumbling and some of the stones are completely visible. This detail of the previous photo shows rocks partially and completely out of the walk. The rock at the bottom right has been worn flat.